Our Fulltang line is especially designed for hunters and outdoorsmen. Precision made blades in every detail. 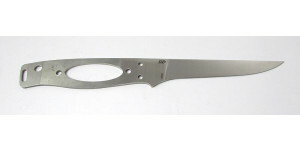 resistance make Sandvik 12C27 the recommended grade for hunting knives, camping knives, and pocket knives. the EnZo Trapper stands head and shoulders above the rest". The blade is not flexible, it works very well as an all round camping knife, also on wood.